Worldly Pets carries the highest quality pet supplies at the lowest prices. We ship daily and believe the customer comes first. We carry products for dogs cats ferrets rabbits hamster birds and other small animals. Products include collars leashes costumes toys beds grooming pond, apparel and more. Kong JUMBLER BALL Medium/Large Dog Toy COLORS VARY! 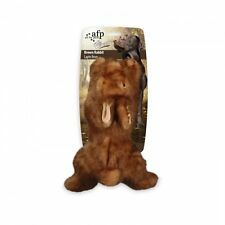 Kong Puppy Teething Chewing Dog Toy SMALL MEDIUM LARGE PUPPIES LOVE THEM! Coastal 3/8" Round Nylon Dog Choke Collars BLACK BLUE RED 16" 18" 20" 22" 24"26"
Kong JUMBLER TRI Squeaker Large/Extra Large Squeaker Dog Toy COLORS VARY! Kong Rubber Balls Dog Toys 2 1/2" & 3" 100% NATURAL RUBBER FOR HOURS OF FUN!